You’ve seen the commercials, and made the choice: I’m going to go fight fire monsters in futuristic gladiator stadiums. Wait, I mean you’re going to join the armed forces. But I tend to agree with the point of the commercials. 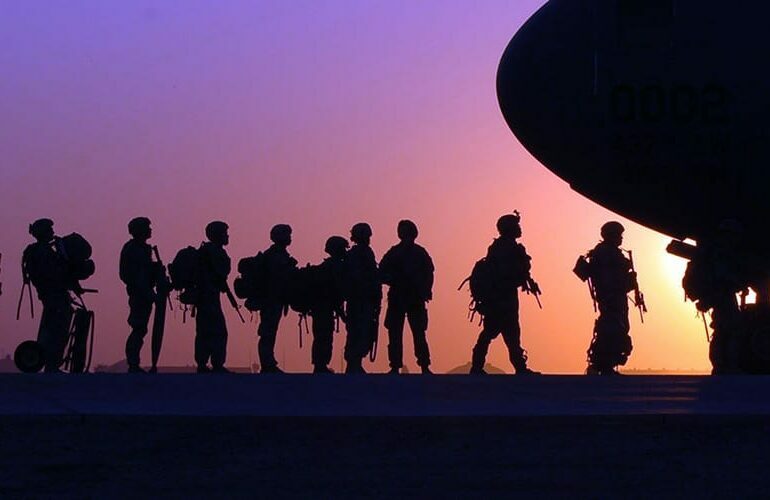 Making the choice to enlist is a monumental decision that will shape the type of person you will become, and the type of life you can create for yourself. As much as the recruitment ads may insinuate the path to the military is a mind-bending obstacle course featuring rotating climbing walls and spinning blades, it’s a lot easier to obtain than the commercials suggest. There are many steps to getting started, but one thing to start thinking about when sizing up a career in armed forces is the Armed Services Vocational Aptitude Battery (ASVAB). It’s a test that measures an applicant’s strengths, identifies weaknesses and gives a glimpse into potential future paths. A willingness to serve is what it takes to get started; a solid score on the ASVAB is what allows you to make that dream a reality. Hector Martinez had been out of high school for awhile when he signed up for the test. At first it was slow going, he had to buy a basic prep book to start to get back in the groove and refresh his mind. The book had practice tests, and helped give Martinez a solid grasp of the general portion of the exam. Four sections count toward an individual’s Armed Forces Qualifying Test (AFQT) score, including Arithmetic Reasoning, Word Knowledge, Paragraph Comprehension and Mathematics Knowledge. Understanding the importance of these sections started to turn things around for Martinez as he prepared for his ASVAB. To make sure he had those sections down, Martinez worked backward from the answer keys to fill in the blanks in areas he needed help. It’s not just that the keys provided the answers, it’s the added context to the questions that those answers provided as well. For example, on a question about which scale is used to determine if a substance is alkaline or not, the practice tests do more than just tell you the answer is the pH scale. The answer key identifies what the pH scale is, what it measures and how to interpret the numbers that could be presented in a different problem. That means that even if the question on the test moved from “what is the name of the scale?” to “which number would indicate an acidic substance” a student would still gather than information from the answer keys. Although it sounds simple, this strategy was how Martinez started to find his comfort zone. Then it became about figuring out what he was looking to get out of the ASVAB. If you’re able to get a solid grasp on the parts that make up the AFQT, Martinez said you can focus on the additional tests and the type of career you are hoping for in the armed forces. Beyond those sections, applicants are also measured on General Science, as well as more specific sciences–Electronics Information and Mechanical Comprehension. The final two test sections, Auto and Shop Information and Assembling Objects, are more specific skill applications. While the AFQT is the baseline score for being accepted into the armed forces, it’s a combination of all of these scores that determine which jobs and career paths an applicant is qualified for. In addition to the AFQT, a combination of those tests are combined into 10 other composite totals, known as “line scores” to determine an applicant’s Military Occupational Speciality. Those line scores have titles such as General Tactical (GT), which is a combination of scores from Word Knowledge, Paragraph Comprehension and Arithmetic Reasoning. Other scores are more focused. Mechanical Maintenance simply takes the scores for Mechanical Comprehension, Electronics Information and Auto and Shop Information. That’s the “line score” that Martinez had his eye on. Martinez said he wished he had more of an academic background in mechanical and electrical skills, but was able to do his own research. By looking up resources about the functionality of engines and batteries, Martinez focused on his career beyond the test to try and get a score on the ASVAB that would help him achieve those goals. His answer key strategy also came in handy for those two sections. While the answers allowed him to brush up on basic material, it became more of a “Crash Course 101” type of manual when applied to the more advanced sections. In the Mechanical Comprehension section, it provides insight into such matters as why it’s easier to punch a hole in piece of paper with a needle than it is with a blunt object. For Electronics Information, one of the questions provided an equation for how to add the value of capacitors working in parallel. The answer key is full of information that seems simple, and is available with the right online search. But by using practice tests instead of scouring Google, Martinez was able to prep for his ASVAB in a way that helped him achieve success. Martinez used those technical details to help him feel more comfortable in the areas crucial for his future. Martinez used his travel arrangements to make sure he was as ready as possible, and poured over his answer key up until the final moments before starting the test. For more ASVAB test prep resources, visit Petersons.com/testprep/asvab.